Kitchen is the most important part of any home and it is essential to equip it with the necessities. 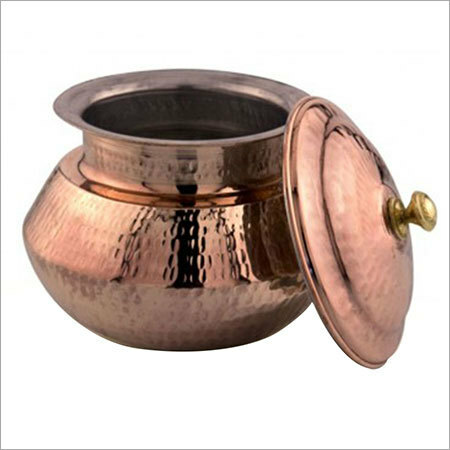 Copper handi with lid is a useful piece of cookware and serveware, used widely for making biryani and other dishes. It serves the dual purpose, one can cook inside it and take it right away at the dining table. A handi has a narrow neck, which is flared out to form a rim for easy lifting and carrying.The copper material ensures even distribution of heat and shape of the handi ensures even cooking.